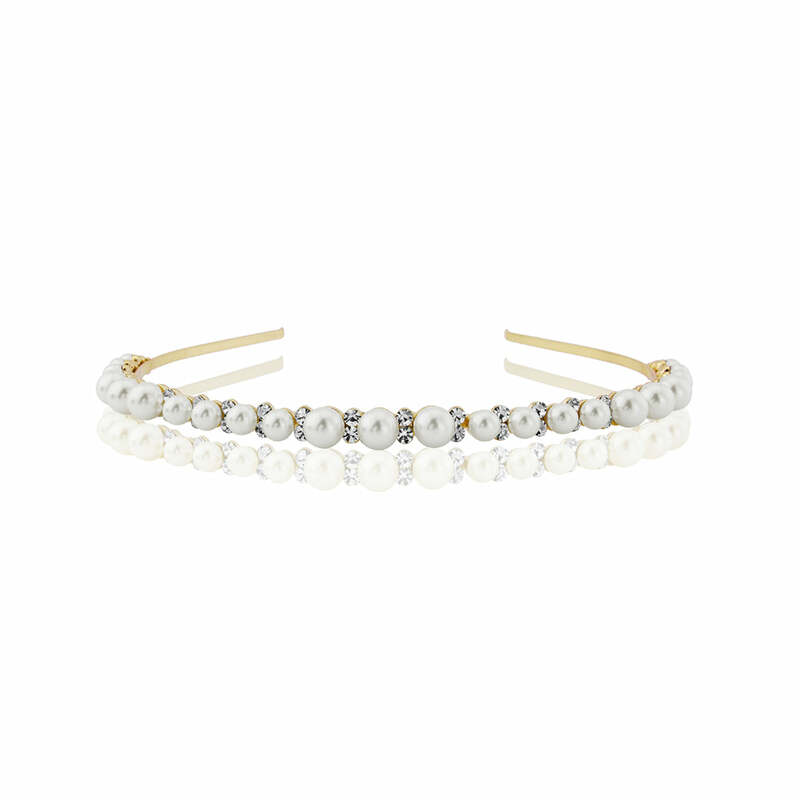 Let your inner Old Hollywood Starlet loose with this elegant 1950s inspired gold pearl headband. A sensational choice for subtle wedding glamour. Simply beautiful, you could just imagine Golden Beauty Headband adorning the immaculately coiffured hairstyles of Audrey Hepburn or Grace Kelly. 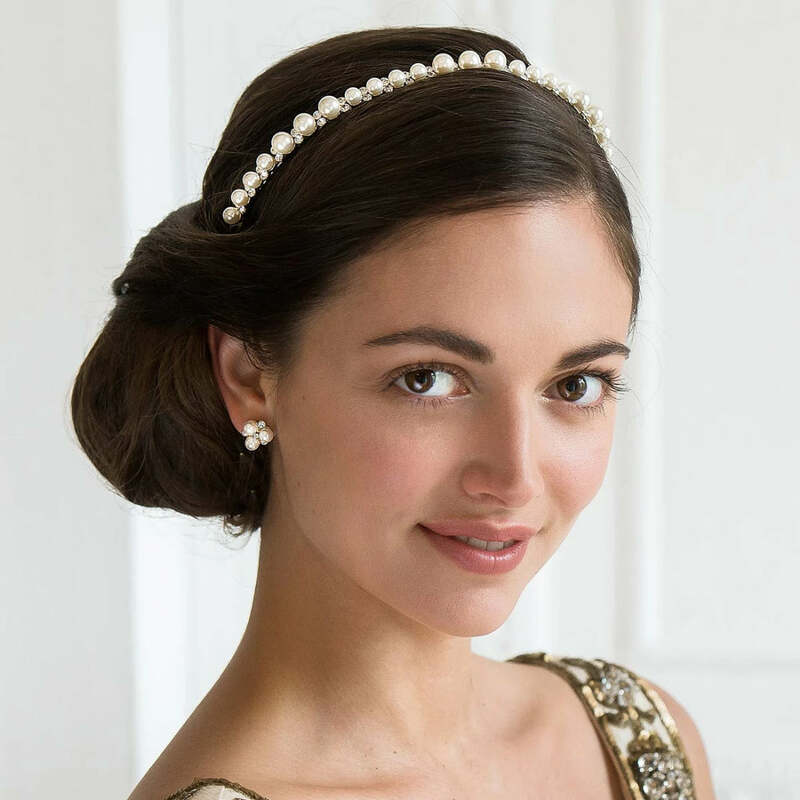 Featuring a single row of ivory pearls set on an antique gold tone band, this elegant hair accessory is perfect for every hair length - from a short gamine crop to long, tumbling waves. An exqusite wedding headband for classic brides who adore elegant and timeless aisle style. Its aged gold tone setting adds a touch of luxury with sensationally subtle style and a gorgeous warmth to every hair colour. Whether nestled in a chic chignon, French pleat or an all-down hairstyle, Golden Beauty Headband will give a timeless elegance to your 'do. Inspired by the chic style of the 1950s, play up its vintage influences and coordinate simply with a pair of pearl earrings for a look is that is the essense of sophistication.